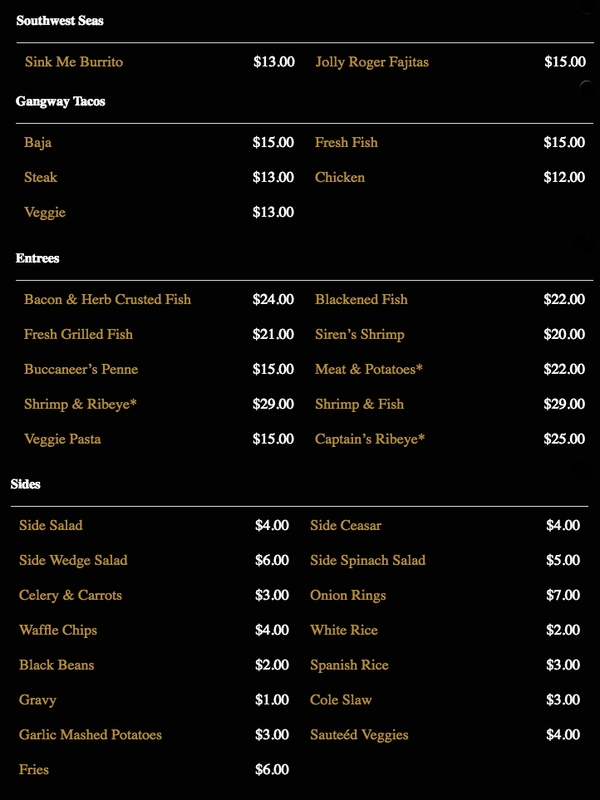 You’ll find their menu(s) below. 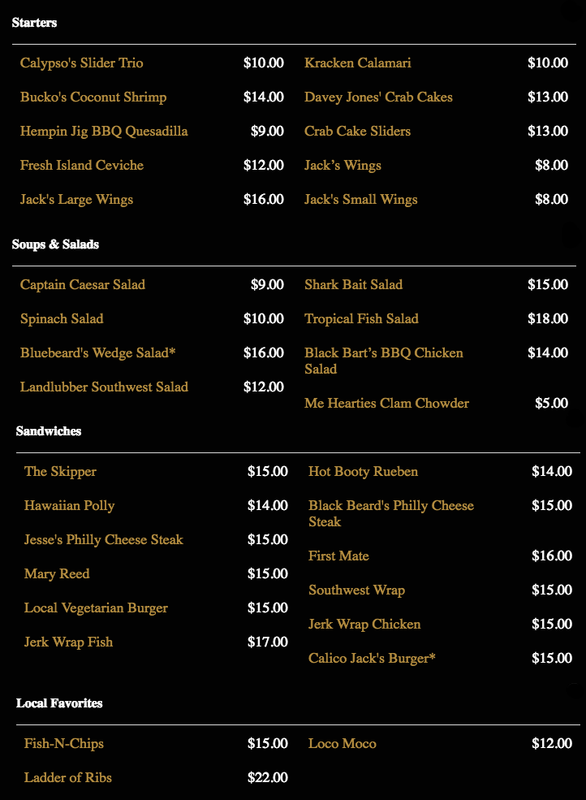 If you want to contact Captain Jack’s Island Grill directly to order, click to call the number (if you’re on a cell phone), or click to their website. Enjoy!